Digital world is so huge and we are living in the digital world, a website is now a necessity for a business, big or small. If you have a business and don’t have a website, you are probably losing a number of great opportunities for your business. 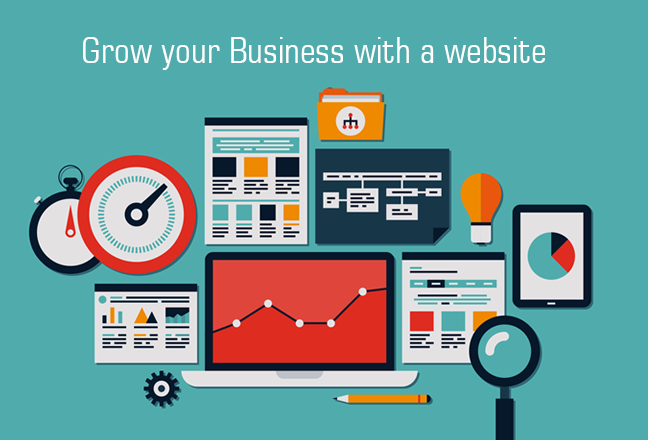 A website itself can be used to accomplish many different marketing strategies to help your business grow. The web has a far wider reach than any other form of advertising. Anyway, it takes time to build up enough traffic to your website to make a worthwhile impact on your company`s marketing campaign, it costs next to nothing to do so. Also, your website will be the center of your company`s online presence through it, you advertise your business around the Web on social networking sites, forums and through pay-per-click advertising programs. To increase visibility is one major factor that makes having a website important. Even if people have heard about your company, they may want to carry out research online first, before entertaining the idea of leaving the comfort of their own home. Websites usually provide a map and directions to company`s shops or offices, for visitors to less likely have trouble finding your location. Also, another important reason why having a website to represent your business is to give you credibility. By building a website, you are giving your business the opportunity to tell consumers why they should trust you and the testimonials and facts to back up those opportunities. Believe it or not, most people will search the internet for a product or service before purchasing to check the credibility first. When you provide good service or product, positive word-of-mouth about your business is likely to spread and you will get the return like delivers more repeat and new business. A website will not only give you credibility but it will also help to give the impression that your company is bigger and more successful than it may actually be. One of the great things about the Internet is the size of your company does not really matter. There is no reason that you can`t get your site to rank in Google ahead of a large multinational competitor and funnel off some of their traffic. This is a big part of the reason that a website is even more important for a small business than a big one, it tends to level the playing field. Websites are also available and accessible 24 hours a day, every day of the year. This is because that customers and potential customers can visit your site for support or information about new and upcoming products and services whenever it is convenient for them. Also, your website will act as an invaluable and always-available resource for information which would otherwise only be accessible during your company`s business hours. A website with an online shop can provide a dramatic boost in sales. Before the Internet era, people spend so much time wandering aimlessly in malls looking for stores that are available to shop in. Websites provide solution to this problem, bringing the shops to you, in the comfort of your own home and lets you shop for the products you’re looking for. Smart businesses realize this and thus have their own website housing their products and services so that potential customers can browse online for the products they want to purchase. Also, you need to have a website and online presence strategy allows you to market your business online. There are a lot of marketing strategies you can use to advertise and market your business. All online marketing strategies have been proven to be effective which ones you choose depends on the type of business you are in. A website is also important because it helps you establish credibility as a business. Most people just assume that you have a website since the vast majority of businesses do, at least the vast majority of big companies do. There are quite a few small businesses that don’t have a website and without one this is exactly what they will remain. If you don`t have a website that you can refer people to potential customers are going to assume that you are a small time company that does not take their business seriously. Once you establish this reputation, it is going to be hard to make sales. You can start by register an account in Big Domain Malaysia.